If Tiny houses is all you want to live happily ever after then you might also have come across arched cabins now and then. Although the purpose remains more or less same for an arched cabin, its distinct shape is undeniably beautiful. Many people use them as studios, hunting lodges, vacation homes as well as a shelter for little pets. You can build it as an open floor plan. The Arch shape that it resembles is what makes its name. 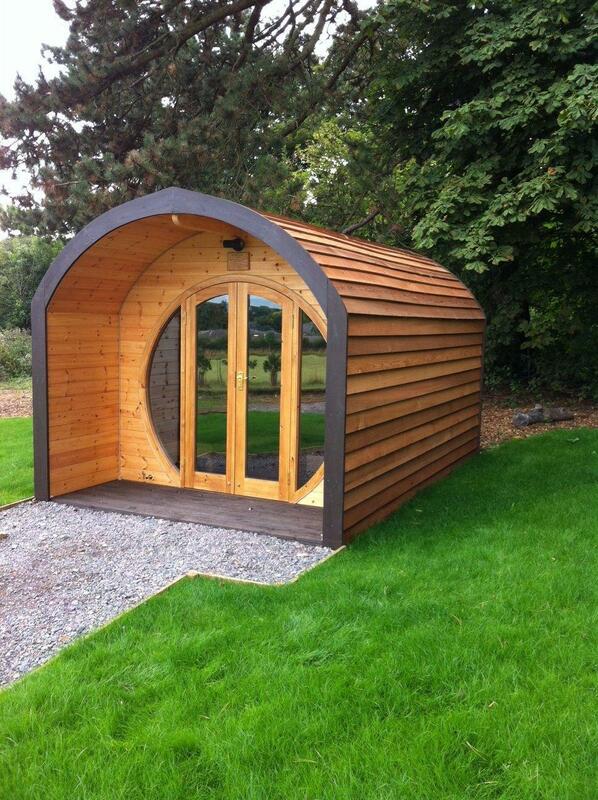 There has been an increasing number of various designs of beautifully built Arched Cabins! 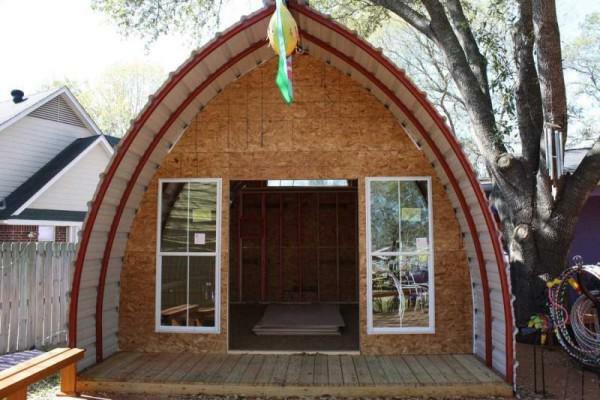 Many companies are especially launching their building offers for arched cabins at a very reasonable price in the USA. Thus, here we will take you on a quick tour to our top 10 to get you dreaming about those as much as we do! 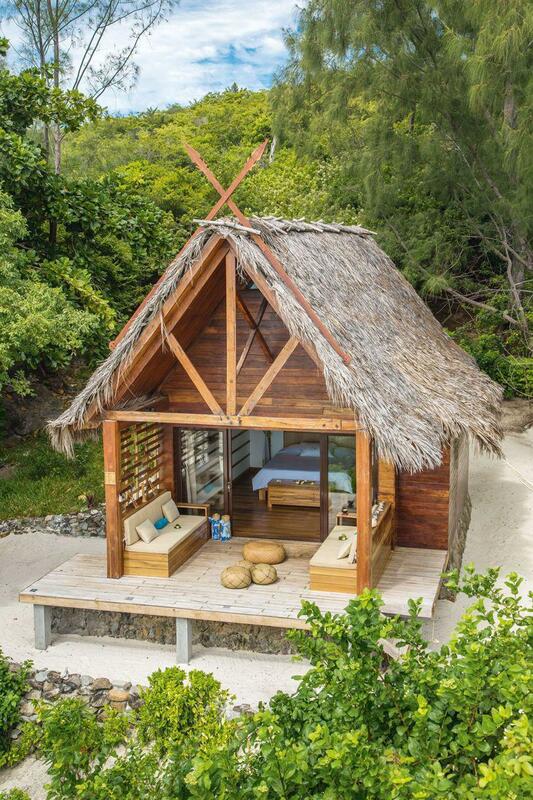 This Arched cabin from Madagascar is all you want to make life peaceful. 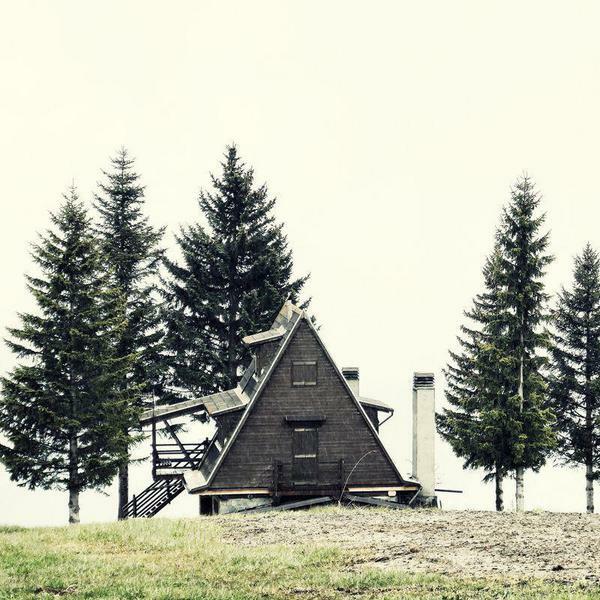 This little house is built near a sea beach and in the woods with an open view. You can enjoy the scenery lying on the bed or you might also enjoy your tea sitting on the sofa. The view from the veranda is more astonishing than you think it would be! This is a perfect cost effective leisure home for anyone living near the sea shore. 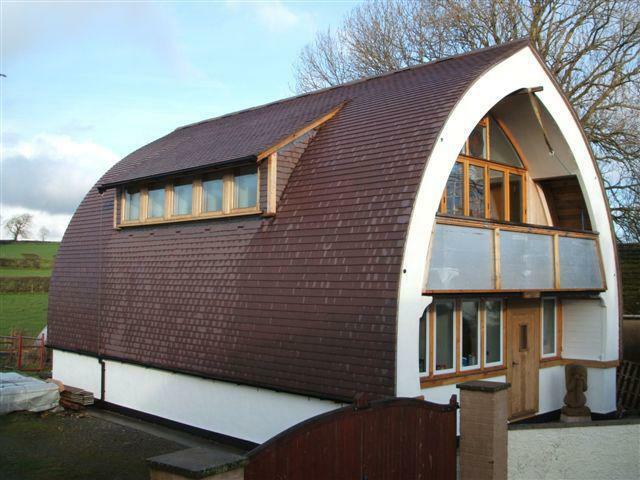 Can you imagine to build a duplex within this arched cabin? The reality is beautiful. The upper portion might be a bit narrow but the design is near perfect to make you feel like you live in a regular size house! The windows and doors are large enough to enjoy sunshine and fresh air. Its number 2 in the list and rightfully it is. 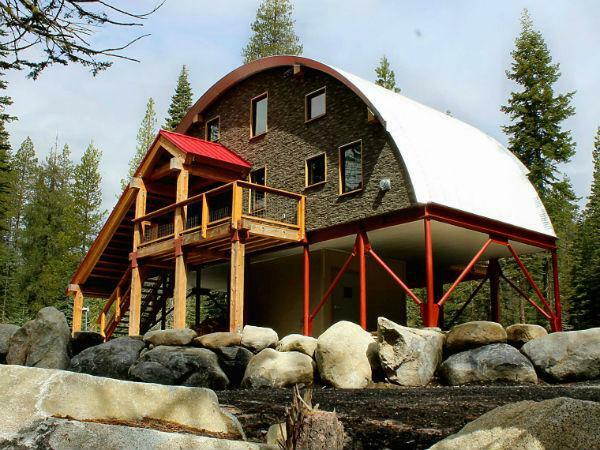 If you are living in a quiet place with a wonderful view of mountains and rivers, then see this arched cabin is all you want. The interior makes me think of how little I have seen of the world!. 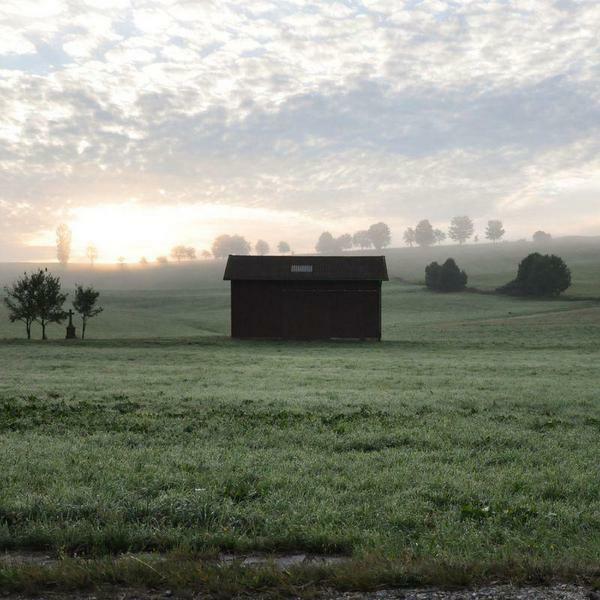 This tiny house will allow you enjoy the quietness of the nature at your own peace. The entire house is made of wood and will make you feel a little closer to nature. This tiny cabin kit is a perfect one for both leisure and everyday living home. This is the perfect demonstration of an open floor plan I was talking about earlier. 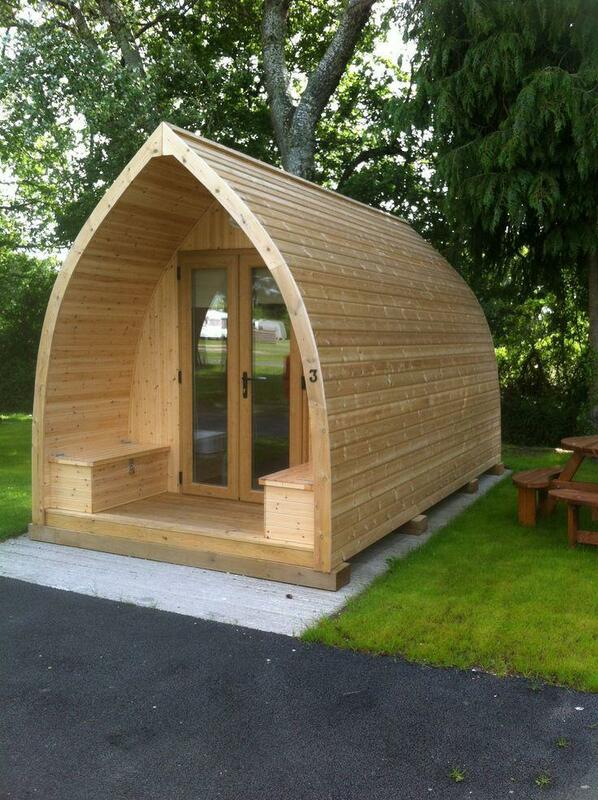 The Tiny arched cabin can be used for various purposes and may well be home for your kids. The design allows you to customize and use the home in whatever way you like. Restroom and kids play are two options I can see. 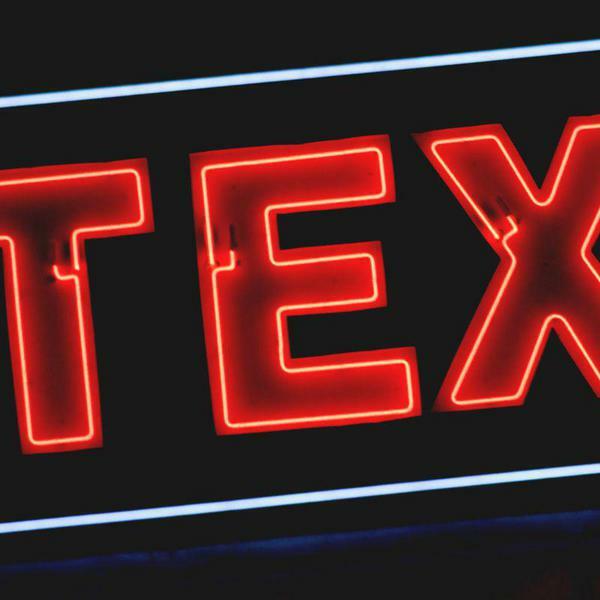 Feel free to use your imagination and create something new out of it! This is the simplest tiny kit cabin which you can ever see but surely would make a good tiny home. If you are planning to build it on an open ground then you might use it as your restroom. You can also remove some of the clutter from your home and use this as an additional shelter. 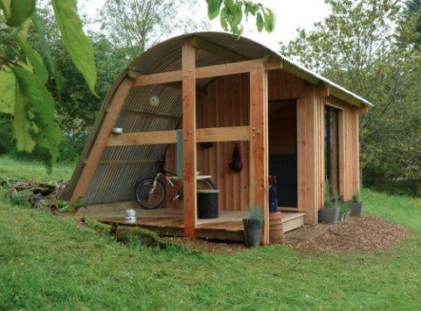 What caught my eyes is the space for keeping your bicycle or even motorcycle in this arched cabin! Brilliant isn’t it? If you are planning to build a cost effective home for living I bet you will not find a home like this. It is a double storied arched cabin that will provide you with proper ventilation and breathing environment. There is a balcony in the second floor and moveable windows to protect you from rain. This is one of most memorable Arched cabins I have seen! The ground floor has been left open which can be used as a shelter for goods and animals to keep them safe from rain and sunlight. The upper two floors are beautifully designed from externally. Just imagine the view at night you are going to experience from this house. Ok that one is not so tiny, but I had to put it in the top 10! This arched cabin I found on Pinterest is a perfect example to build on a corner of your lawn. The sitting benches outside the home is where you want to be during the evening. Though it’s nothing fancy but I loved the thought of seeing the falling sun together with my family in those benches. Simple but yet attractive! What do you think? Number 9 on the list is an arched cabin from Southern Missouri. 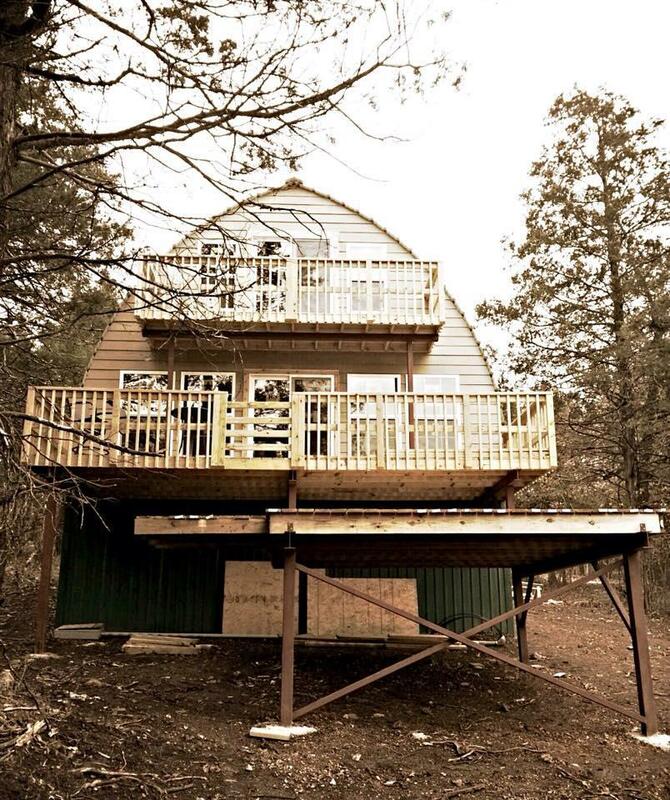 This arched cabin might not look strong enough as it is built on a wooden stand. But the truth is it’s not only strongly built but its overall design and look has surprised quite a lot of people in the neighborhood. The home is double storied and in addition to that the balconies further enhance the beauty of it. Don’t underestimate this tiny home seeing that it’s the last on the list. I have seen many tiny homes but this one really captured my thoughts. 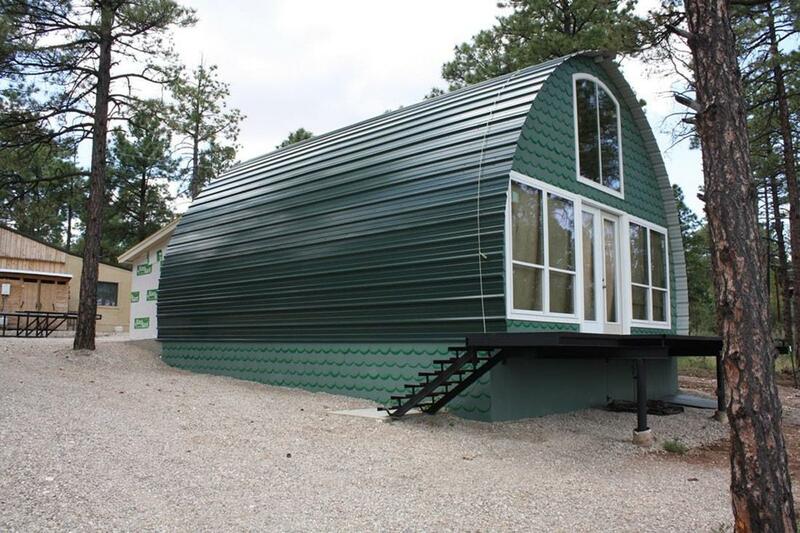 This arched cabin costs about $10000 on ebay which might be quite a lot compared to other arched cabins in this list. But it can be used as an exclusive space for garden office, camping or business office. You can take inspiration from this design and build your own saving more money. But you will hardly find any tiny home with such glamour. There are many people all around the world who have been thinking of having a tiny house for their leisure or maybe for other purposes. For them these ten most beautiful arched cabin is just like an inspiration to give a shape to their dream. An arched cabin needs only a little budget which makes people with different economic status to take initiative to build one. These 10 most beautiful arched cabins will help you to get ideas for building your own tiny house in an arched shape. This article can help you decide which one style you should pick for your tiny cabin kit according to the land you own. The more I see the more love them!